The latest viral ads from Nike, Jaguar and Honey Maid. 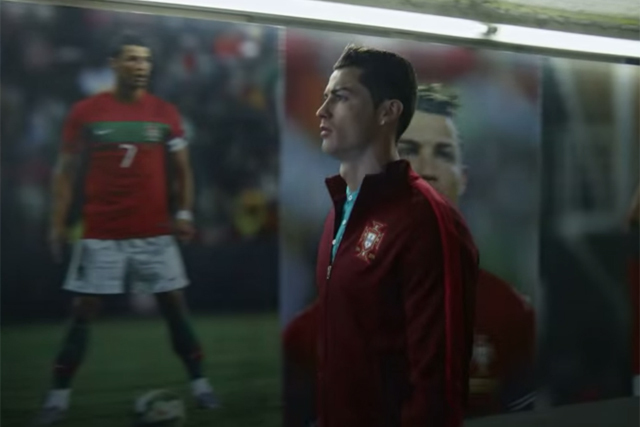 Nike’s unofficial World Cup campaign kicks off with an ad featuring Messrs Rooney, Ronaldo and Neymar Jr preparing for an unnamed big tournament. So far, nowhere near as good as Nike’s 2010 effort, Write the Future. Tom Hiddleston smoulders with evil intent in this Jaguar spot which is based on the idea that the best baddies are Brits. The theme was first unveiled earlier this year’s in the marque’s Super Bowl ad. US cereal brand Honey Maid stoked controversy by featuring a gay couple with a baby in a TV ad last month, receiving hundreds of complaints for conservative consumers. In response to this, the brand printed the criticisms and hired artists to turn them into an installation spelling the word ‘Love’.